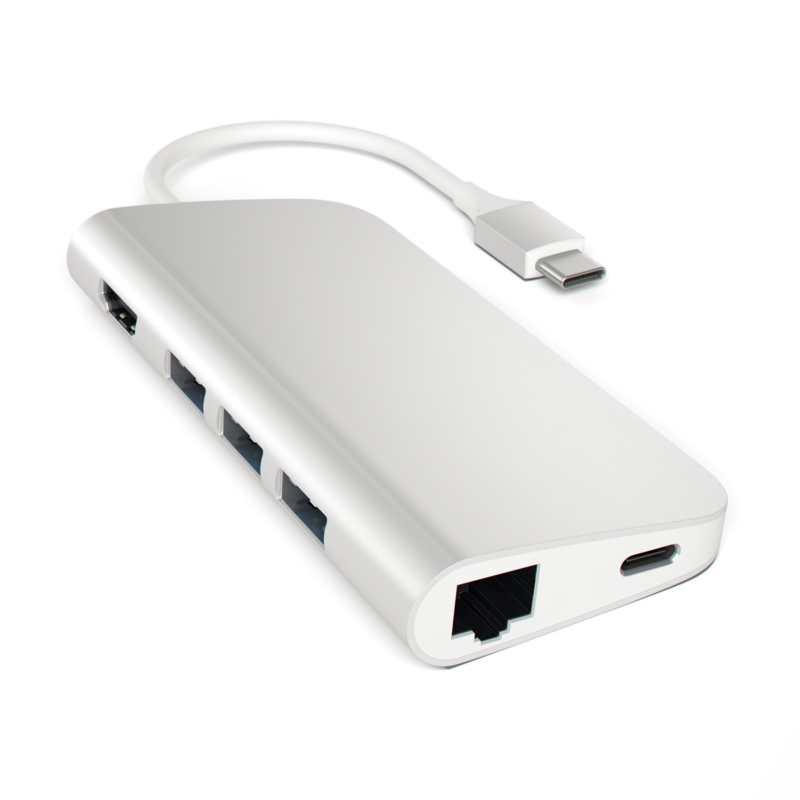 There seem to be many USB-C adapter hubs, which convert USB-C to other types, and HDMI. When searching for "USB-C hub" you normally see adapters. However, I actually don't want a USB adapter, as they all seem to have only a single USB-C port; effectively just a pass through. I want a USB-C to USB-C hub so I can charge the iPad and connect a USB-C device at the same time. Does such a product exist? The answer here is it depends. Unless otherwise stated that the port supports Power Delivery (PD), it will only supply a limited amount of power. In one recent answer I wrote, the iMac will only supply 15W of power. However, you'll have to get the exact power specs for your particular machine. All devices have some sort of power draw; even a flash disk has some power draw, usually in the milliamp range (200 mA or .2A). However, if you exceed the power limitation of what the port can supply, it will end up disconnecting devices. Not the answer you're looking for? Browse other questions tagged ipad usb charging . Can the Apple 10W USB charger be used with a 7-port USB hub to charge iPad 2, iPhone 4S, and other devices at the same time when traveling? How can I use two USB devices with the new USB-C MacBooks? Is there a way to use the IPad 2018 with both a midi controller and audio out?